For thousands of years, food has been prescribed as a natural form of medicine. Certain foods are renowned for their healing powers and regenerative benefits. But it’s not the nutritive properties that carry the healing powers, it’s the essence of the food. All food contains Nature’s information–the seed planted in soil, grown in fresh air, with the energy of the sun. This information is more powerful than the food itself. While mung beans are tiny and unassuming, their benefits top the charts. From an energetic perspective, mung beans are a surefire way to support your entire body while relieving itchy skin rashes, improving digestion and detoxing and strengthening your Stomach and Liver. Most illnesses are related, on an energetic level, to poor Liver function. It is especially important to give this organ a boost in Spring, which is just around the corner. Mung beans benefit your health throughout the year, with an added side-effect of beautiful, glowing skin. In the video below, Grand Master Nan Lu explains why mung beans are essential to good health, especially in Spring. 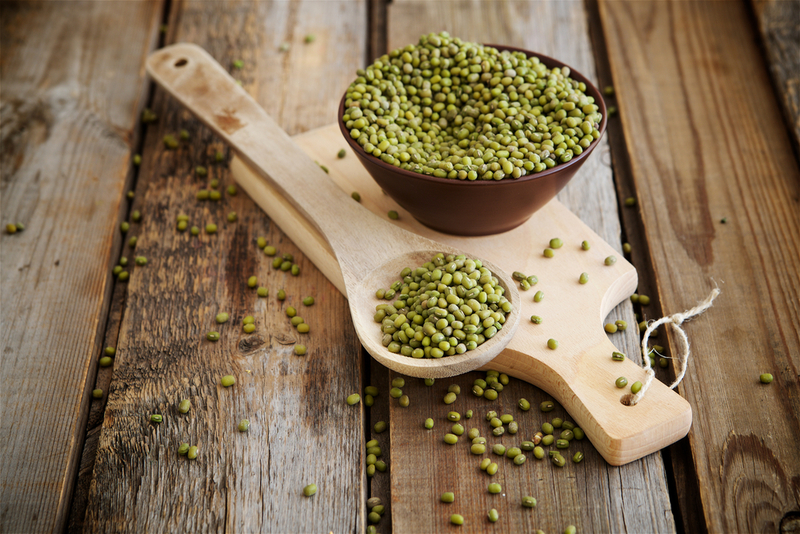 Read more about the many benefits of mung beans here! Come back tomorrow to learn how to sprout mung beans.